Do you have a teen who loves to do nature study? Are they interested in birds and bird watching? Did you know that you could make that into a high school elective? Nature study is not only important for our little ones. It can add a lot to your teen’s high school science studies, while engendering a love of nature. It can also easily lead to credit as a high school elective. 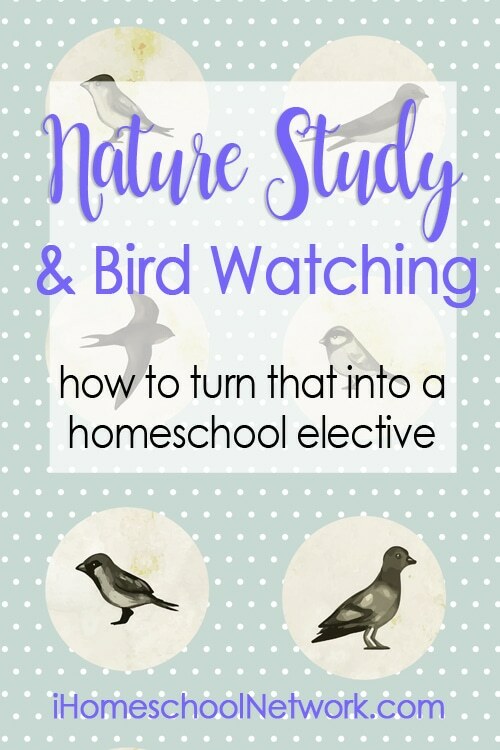 We did a lot of nature study in our homeschool starting in the early years, but also continuing into the high school years as well. Today, I’d like to share five activities that our teen enjoyed, which yours might like to do as well, involving bird watching and nature study. Before that, let’s take a minute to look at how we got started with bird watching in our homeschool. Looking back, we did a lot of birdwatching and science activities during my daughter’s early years. When she was 10, I gave her a camera, and she soon she began taking pictures of birds. We did photography together, and I enjoyed teaching her basic photography principles. She still loved doing this in middle school. That brings us to our first teen bird watching activity, of nature photography and entering photography contests. With my daughter loving to take pictures of birds around our area, I thought she would like to enter a photography contest or two. We found a nature photography contest at our local state fair. She entered it and enjoyed competing with other young photographers there, getting feedback on her work. Cornell University, an authority on birds and bird watching, offers a very good contest also. I helped her to find this, just by googling “nature photography contests”. She entered this one the following year. It was a fun and valuable activity, involving creativity, nature study, photography, and organizational skills. Cornell now has a site that lists contests and resources at Young Birders Network. There are a number of contests here, including the Young Birder of the Year Contest. These contests are not just in photography. They also list art and essay contests related to bird watching. Participating in this contest added a lot to our daughter’s self-esteem and inspired her to continue to improve her photography skills. It also gave her something to put under “awards”, on her college application. The second bird watching related activity that we enjoyed was making a photography book for bird identification. My daughter decided to compile her photos into a notebook, using a simple ring notebook and report covers, with her photos printed on thick printing paper. This made it a frugal project, as photo quality paper was not needed. Below shows how she simply put together her pages. This kind of notebook became a fun, creative way to share bird watching with others, inspiring her friends to begin bird identification activities, too. That led to my third suggestion for teen bird watching activities…that of making nature journals. Nature journaling is a wonderful way for your teens to put their drawing, writing and science skills into practice. Doing a nature journal fosters art skills, essay writing skills, of course nature study and more. Do you have a teen artist in your midst? Have they ever tried drawing with chalk pastels? That brings us to our fourth teen project, bird chalk art. We got into chalk art through our local co-op. My daughter loved working in the medium of pastel art. Over the years, we discovered Tricia Hodges’s courses in chalk art. Did you know that she is now offering a video course in drawing birds called Bird Chalk Pastel Video Art Course? This video art course will teach your teen how to draw a variety of birds, taught by a Master Artist, in the comfort of your own home. With all the bird art and nature photos being made, that led us to our final teen activity, making and selling nature cards. My teen learned how to make and sell nature cards by studying resources online, and by meeting with friends who had done this type of project in the past. 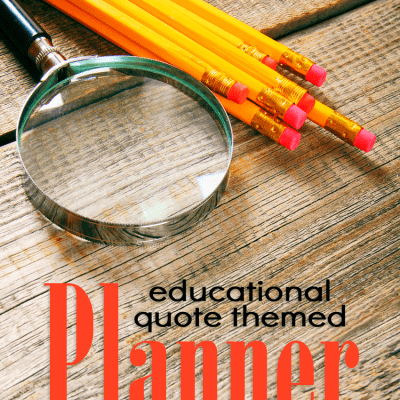 This project gave her practice in a number of organizational skills including: selecting and purchasing supplies, organizing and planning, and time management. All of these things are important task skills for our teens to develop. And isn’t it fun to be learning them in these non-academic activities! She found many places to sell these cards, a local consignment store, a church rummage sale, and a farmer’s markets. And they don’t have to be just photography cards. Note cards can also be done through – drawings, paintings, stamping, or collage. Making and selling these cards introduced her to basic business principles! Now that we have discussed five teen bird-watching related activities, let’s look at how we can make these activities into a high school elective. We took the activities discussed above and decided to make them into a together a course in nature photography. To do this we used both the mastery method and the hours method of assigning high school credit. These are just terms that I use to describe 2 of the 3 ways to assign high school credit to your teens. What is the mastery method? By earning an award from a nature photography contest, and showing me that she had a knowledge of bird identification, that demonstrated a beginning level of skill in bird watching and nature photography. What is the hours method? By participating in nature photography activities and birdwatching over the year, for approximately 140 – 180 hours, that is another easy way to grant high school credit. I share more information on assigning high school credit on my blog. We made ours a nature photography course, but you could make an elective course in nature study, combining some of the activities above, focusing on your teen’s interests and strengths. Another way to go is to create a fine arts credit, with the bird chalk art. For more information on assigning high school credit, making your own homemade courses, dealing with transcripts, and more, I invite you to check out my book above called Homeschooling High School with College in Mind<. We loved homeschooling high school, as it not only gave my daughter a solid education, it also built lifelong hobbies and a love of nature study. My daughter grew her love of God’s gifts that are all around us in nature. Why not keep nature study going through the high school years! What kinds of things do you like to do for nature study or bird watching with your teens? Please share that in the comments, as they can be such an encouragement to other homeschool families. Credit – Each photo above was taken by my daughter. Birds without Borders – A publication from Bird Sleuth. Betsy is mom to her now college junior, whom she homeschooled from preschool through high school. 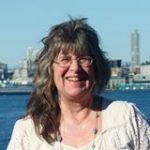 She blogs at BJ's Homeschool, about the early years, high school & college and wrote the book - Homeschooling High School with College in Mind. She offers homeschool help at BJ's Consulting and is a former OT and preschool teacher.